Belgard is a place where the outdoors is always beautiful. Where the smiles never stop. In fact, they’ve built their reputation on fulfilling that dream. Their uncompromising level of quality and craftsmanship sets the standard for hardscapes. And their remarkably natural look and feel is unrivaled in the industry. Since 1995, Belgard’s locally made and nationally backed products have transformed thousands of residential and commercial properties across North America. Every day, their network of trained and certified dealers helps customers to envision their creative journey and realize their outdoor dreams. 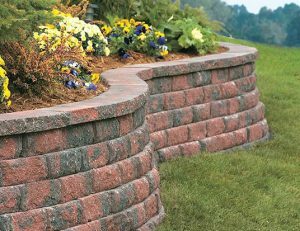 At Belgard, they have set the standard for landscape design and innovation. They are committed to providing you and your family with years of outdoor beauty and protection.